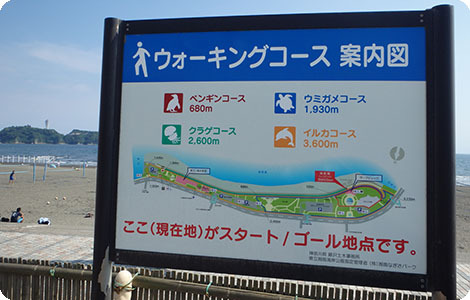 Lying next to the ocean, Enoshima and Fujisawa offer a wide range of marine-based activities. Alternatively, why not experience learning how to make sushi, complete with English language guidance, or take part in some of the many Japanese cultural activities on offer? People of all levels are welcome to join, so please come along and give them a try! At Shonan Harbor, visitors can embark upon the "*Hansa Class" yachting experience. Suitable for people with or without previous sailing experience, those who climb aboard can learn about sailing in an easy and safe environment. * This class of yacht is very safe, does not capsize, and is simple to maneuver. Shonan Harbor will play host to the sailing competition during the 2020 Tokyo Olympics. Why not give sailing a try here ahead of this elite event? Moreover, visitors can try their hand at SUP (stand-up paddle boarding), canoeing, and surfing experiences offered by the following companies. Aside from all the water sports, there are many other activities to get involved in. If you are interested in any of the following activities or would like more information, please get in touch using this form. 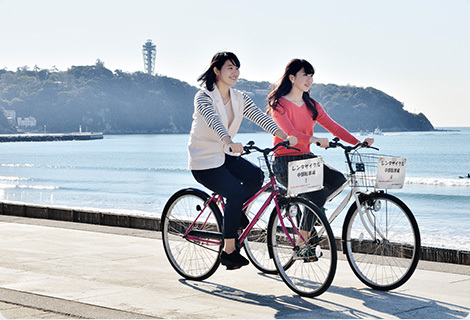 Convenient for exploring the areas around Enoshima, bicycle rental services are provided. Running from Kugenuma Kaigan on the shore opposite Enoshima, to the neighboring town of Chigasaki, the "Shonan Cycling Road" is approximately 8 kilometers each way. With few undulations along the route, this road is ideal even for beginners. Cyclists can get up close to and really enjoy the beauty of the Shonan Coast, and with great views of Mt. Fuji visible on clear days, this route comes highly recommended. Rental services offer inline skates, elbow/knee/wrist guard sets, and helmets only. Note: In the case that a national holiday falls on a Monday, the park will open on the Monday and then close the following day. 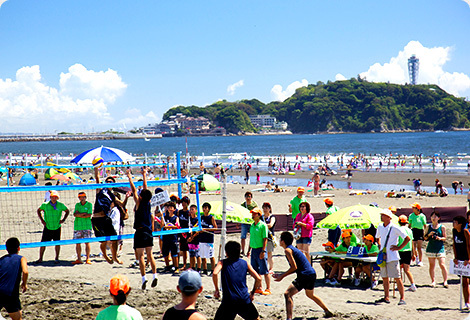 Kugenuma Kaigan, located on the shore opposite Enoshima, is the birthplace of Japanese beach volleyball. In August each year, "Beach Volley Japan", which is the biggest beach volleyball competition in Japan, is held here. The venue is open to members of the public throughout the year, and free volleyballs and courts are provided. Coin showers and lockers are also available, making this the complete beach volleyball location. Rentable tennis courts at Shonan Beach Park. From an ideal location just next to Enoshima, on a clear day you can enjoy a view of Mount Fuji to the west. 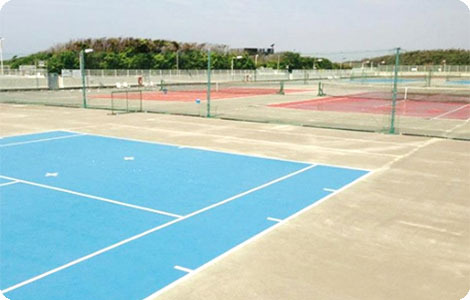 Enjoy a luxurious game of tennis amid the sun, sand, and surf of Shonan Beach. Choose from one of four marine-life-themed easy walking tours along level ground. 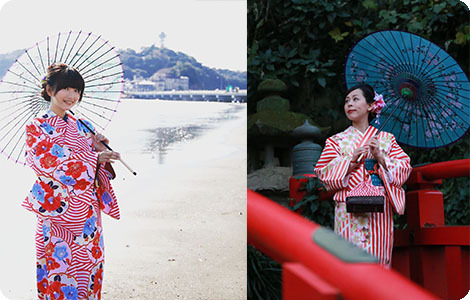 On a sunny day, enjoy views of Enoshima and Mount Fuji as you walk carefree with the ocean wind in your hair. For all the sushi lovers out there, why not try making some of your own? With English guidance available throughout, unleash your inner sushi chef! Situated near to Fujisawa Posting Station (introduced on the Post Town Fujisawa page), the sushi shop is conveniently located for sightseeing. Please send any inquiries via the following website. 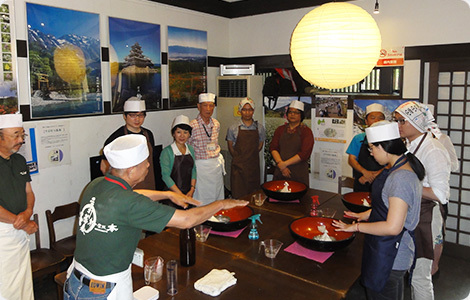 Every Friday, Matsumotokan, which is located inside the Samuel Cocking Garden, offers hands-on lessons in how to make soba (buckwheat noodles). 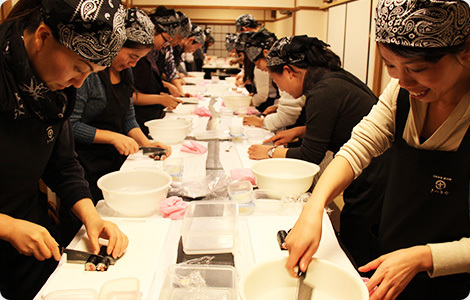 It looks so simple, but the art of soba making can be unexpectedly difficult to master! Come along and give it a try! If you are interested or would like more information, please get in touch using this form. The “Ukiyo-e Printing Experience” is now being offered at the Fujisawa Ukiyo-e Museum. Come try making your own ukiyo-e prints every Saturday and Sunday between 13:00 and 17:00 for as long as the exhibit is open. 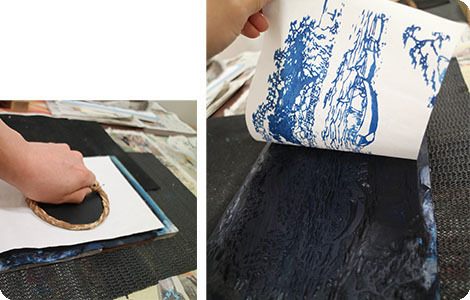 Different participants will need more or less time to finish their prints, but Most participants finish their prints in 5-10 minutes. The experience is free, but limited to only once per visit. Come choose from a selection of over 200 kimonos! Rental includes kimono fitting, handbag/footwear, and hair accessories. An offer you won’t see anywhere else: all kimono types & patterns at a single fixed price. They’ll set you up with a perfect ensemble, and even store your luggage while you show it off. Located on the 10th floor of the Maru Building near the bridge to Enoshima. Seven minutes from Enoshima Station by foot, or three minutes from Katase-Enoshima Station on the Odakyu Line.